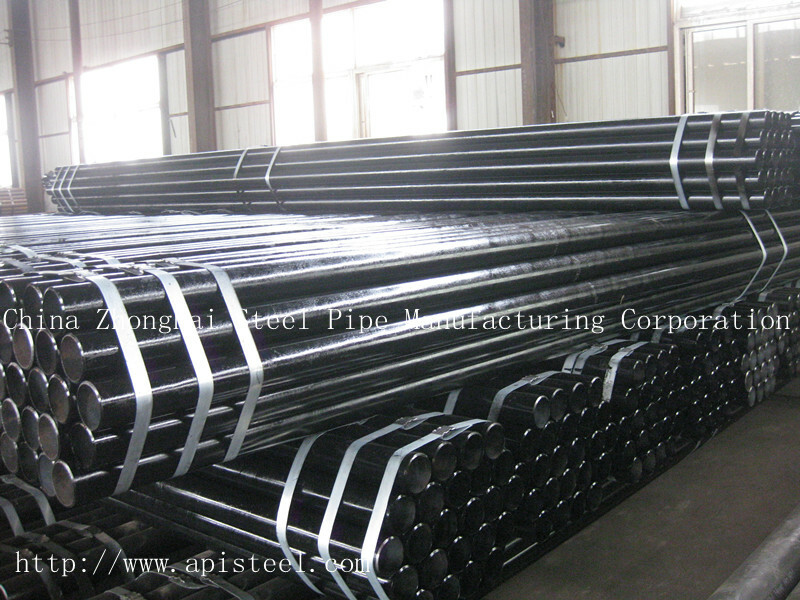 Our mill produce ASTM A53 Pipe Seamless Poland,ASTM A53 carbon pipe seamless Poland,A53 carbon steel pipe Poland,welcome u and u team come to viist at any time. Steel billet → heating → punching (piercing) → three-roller skew rolling (helical rolling, tandem rolling or extrusion) → tube knockout → tube diameter reducing → cooling → semi-finished pipe → straitening → water pressure test → labeling → warehouse entry. 1. What have to stated is that the in the rolling process,the finished casting slab can be 1~20mm,while before that the thickness of continuous casting slab is around 230mm.So the crown control is important. 2. When use solid tube blank as raw material,remove the defects on the tube blank surface is necessary. 3. All step of the whole process is under strict control and based on the international standard ASTM A53,API5L,ASTM A106, to ensure high quality products.